Beto O'Rourke confirmed his support for unrestricted access to abortion regardless of gestational age during a campaign stop in Pennsylvania on Tuesday, one day after refusing to answer directly when asked about the morality of third-trimester abortion. "I just want to make sure that I had clarity: Yesterday when you were asked about abortion, you said it's a woman's right to choose, correct? Does that include up into the third trimester?" asked the Washington Examiner's Salena Zito, who trailed O'Rourke as he was walking the Penn State University campus. "I think those decisions are best left to a woman and her doctor. I know better than to assume anything about a woman's decision, an incredibly difficult decision when it comes to her reproductive rights," O'Rourke responded. "Roe v. Wade, though it's being tested unlike any other time, it's still the law of the land, it must be upheld. When we're talking about universal health care, we're talking about women's health care." Speaking to supporters in Cleveland, Ohio on Monday, O'Rourke was asked specifically about his views on third-trimester abortion, but pivoted to the issue of abortion generally, which he argued should be unrestricted. "Are you for or against third-trimester abortion?" asked an attendee at O'Rourke's campaign stop in Cleveland. "The question is about abortion and reproductive rights and my answer to you is that should be a decision that the woman makes. I trust her," O'Rourke said to raucous applause. 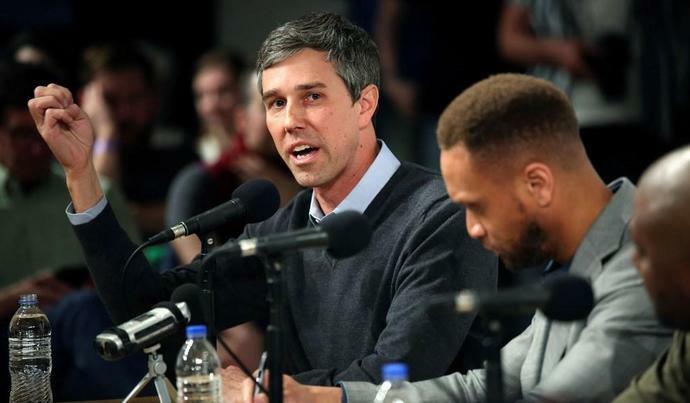 O'Rourke, like his fellow Democratic presidential contenders, has refused to draw distinctions about the morality of abortion based on gestational age, maintaining instead a blanket opposition to any abortion restriction whatsoever. Shortly before leaving Congress to launch an ultimately futile challenge to Senator Ted Cruz (R., Texas), O'Rourke co-sponsored the Women's Health Protection Act, which would have eliminated nearly all state restrictions on abortion, including so-called right-to-know laws and mandatory waiting periods.